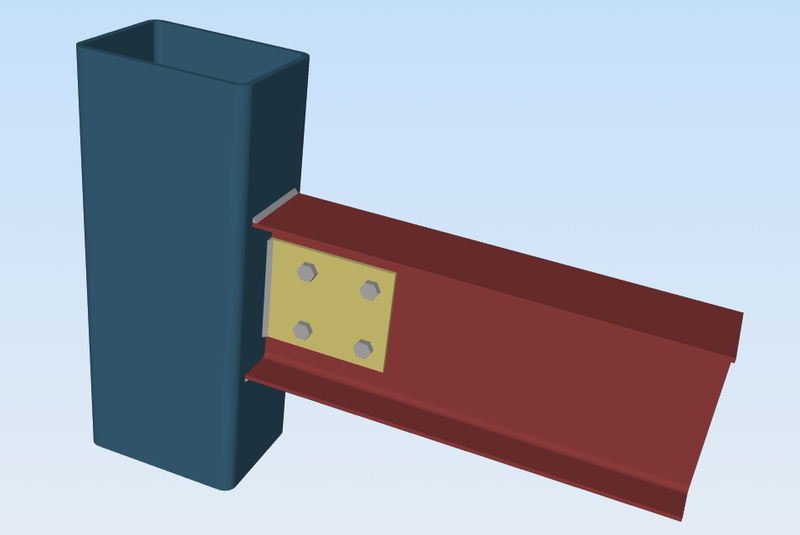 The directly welded moment connection is the weakest connection amongst all the connection but it is also the most commonly used of the moment connections in light weight frames. The double WT connection can be prone to high prying loads on the welds of the HSS column, therefore it is better to over design the welds use. The web flange of the WT shape should not extend too long to prevent a higher moment load acting on the welds.